I don’t wish to panic you, but it looks an awful lot like there are only four weeks left until Christmas. Things are starting to get pretty intense around here. There are a lot of people in my family, so it’s important to make sure that no one gets missed out or shorted when it comes to gifts. I even have a complicated spreadsheet to make sure I get it right. Or as right as I can. Crochet gifts are in my opinion an amazing thing to give. 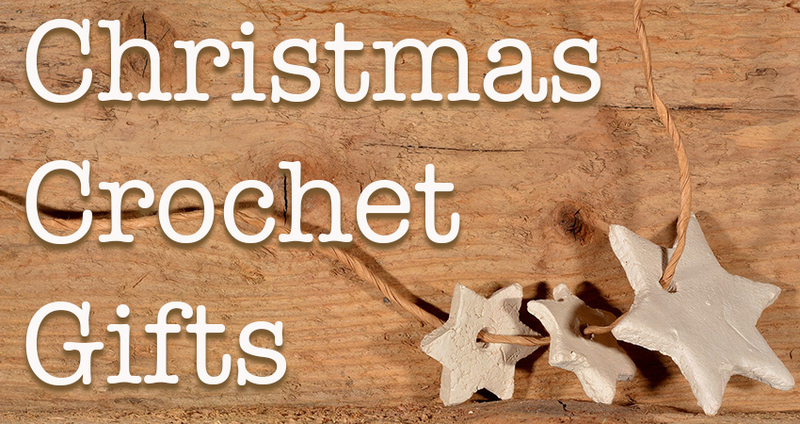 Not just gorgeous or practical items, but ones that have taken skill, time and love to put together. Last year I did loads. I was really in the zone with my winter gear. I created several brand new scarf, glove and hat patterns with specific family members in mind. But there potential downsides to making your gifts. Have they complemented your crochet previously? Have they expressed an interest in something you have made? Do they tend to like hand crafted items in general? Do you know the colors they like? Are you proud of your crochet? Are you confident in the quality? Will you feel okay if they don’t like it, or don’t use it? If you can answer yes to all of the above, then it’s probably okay to go ahead! Sadly, this year I have made far fewer gifts than I did last year. Most of them have so far been found in shops, or hand made by other people. My writing and website work has been very time consuming and family life has been hectic. I have also had a lot of lovely commissions that I need to finish before I can work on personal projects. On the bright side, I am very happy with one Christmas gift. A special request from my nephew. I have just finished this fun Christmas gift. 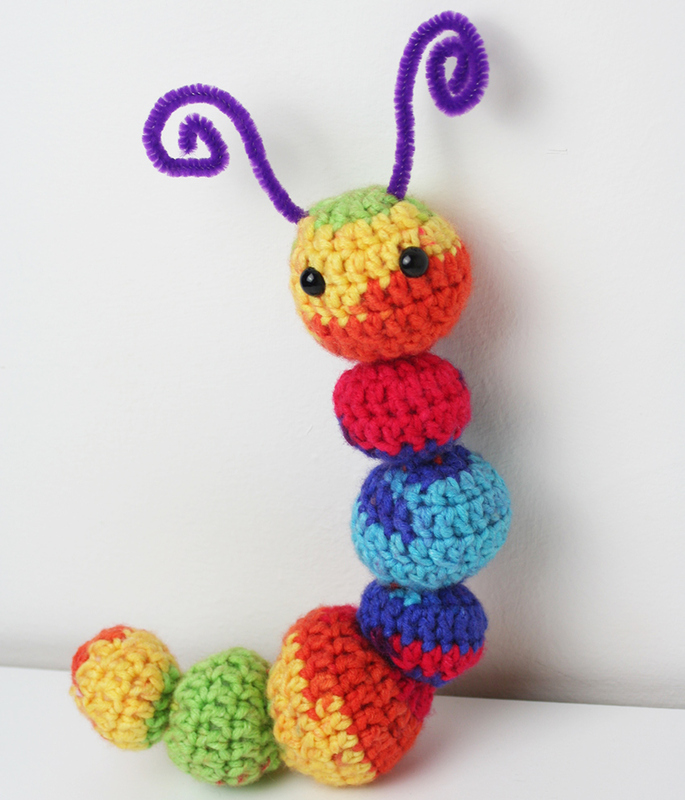 This cute rainbow crochet caterpillar, based on my more traditional pattern here. I struggled a bit with it to begin with. My initial plan was to make each section from a different color of the rainbow. I’m not sure why, but it just didn’t look good. And that’s putting it kindly. The rainbow part was important however, so I came up with an alternative solution. Using the remainder of my lovely chunky rainbow yarn! I used a slightly larger hook than the pattern recommends, and freestyled the size of the ball body part components. But I’m pretty happy with how he has now turned out. I had a bit of trouble keeping it out of my daughter’s hands, so I have the feeling I will be making another one very soon. 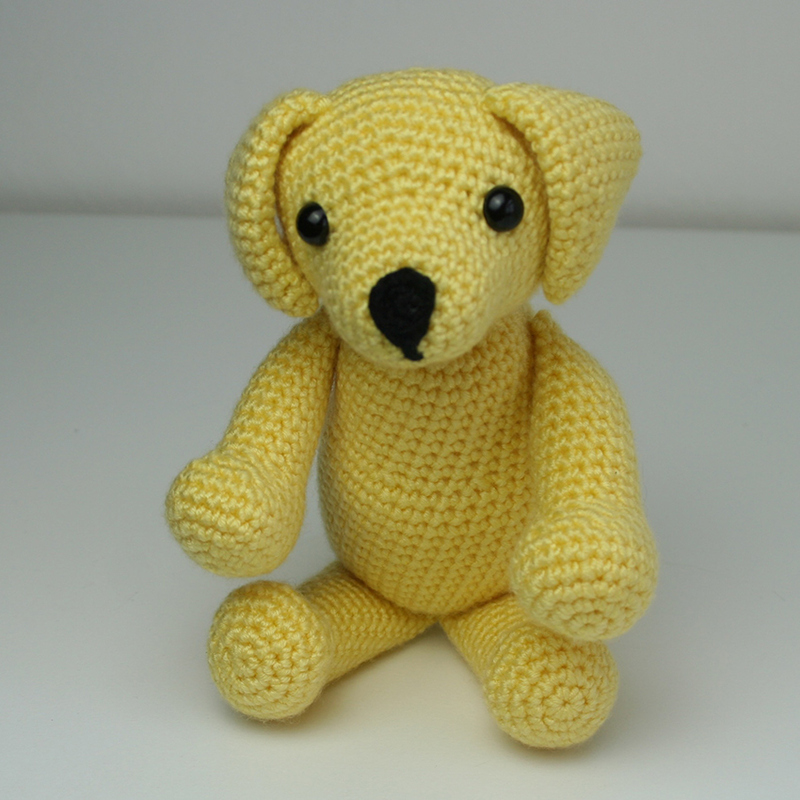 This week I have had a big influx of crochet Labrador orders, which are some of my favorites. I’ve made a lot of these lovely little dogs now. I really enjoy tweaking the pattern and picking different yarns, to give each of the puppies the look their owners are going for. I will be starting work on a couple of them next week, and will pop up some pictures for you all to see then. The next few weeks are going to be busy for most of us, I expect. To spending more time with my husband and daughter, getting lots of crocheting time in and doing lots of Christmassy crafts. I have started work on a Christmas wreath, which has had to be put to one side for now, but I can’t wait to pick that up again soon. I hope to have it ready to share with you in time! I hope that you are all looking forward to the holidays, and have lots of lovely plans coming your way soon.